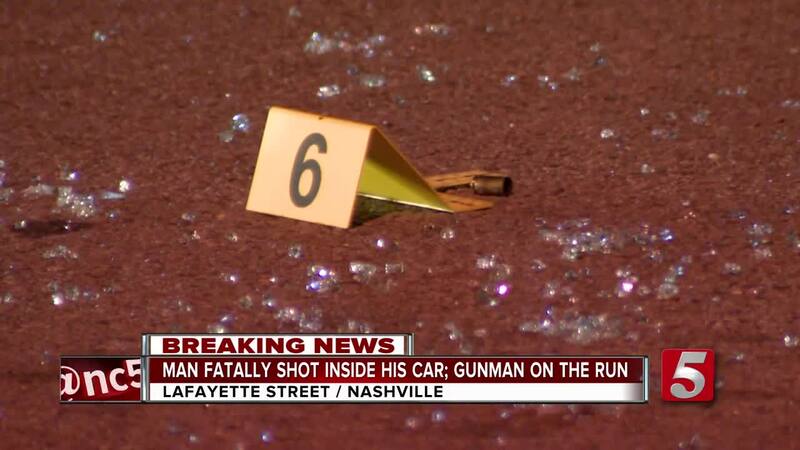 A man was killed overnight after a shooting outside a Dollar General store in Nashville. The incident happened shortly before 11 p.m. Sunday in the store’s parking lot on Lafayette Street. Metro Nashville police officials said the victim, 31-year-old Joe Ivory Johnson, was shot multiple times as he was getting into a friend’s 2009 Jaguar sedan. It appears the killer was waiting for Johnson to arrive at the car. The windows were shattered and shell casings were found on the ground. He was taken to Vanderbilt University Medical Center, where he later died. Detectives are focusing on Johnson’s background and information that has been developed Sunday night and Monday. According to crime statistics, this area has seen its fair share of rough incidents. Nearly 80 crimes have been committed within a mile radius, with most of those being assaults and robberies – that's all within the last four weeks. Anyone with information about the murder was asked to call Crime Stoppers at 615-742-7463. Callers to Crime Stoppers can remain anonymous and qualify for a cash reward.